Malnutrition and micronutrient deficiency cause 28% of early childhood mortality in Ethiopia (European Commission, 2015). Busara worked to understand how smallholder farmers in Ethiopia decide to invest in different breeds of chicken. That research has led us to develop new distribution models for a leading private poultry company that address the behavioral barriers to uptake. We are working together with Acumen, IDinsight and the Gates Foundation. This multi-phase, multi-year engagement has meant developing deep, trusting advisory relationships between senior management at the partner and Busara. After initial diagnosis, we learned that a surprisingly small choice -- which chicken you select at market -- has a fair bit of path dependency. By focusing on how we can influence that decision point, namely by addressing the markets themselves, we felt we could create a more effective behavior change program. Perceived vs. Actual Costs -- Perceived financial and temporal costs underlie much of the reticence to purchase foreign chickens, more than actual costs. The upfront purchase cost is considered to be significant, as are maintenance costs (in part because of misconceptions around caring for foreign chickens). Disfluency -- We prefer things that are familiar -- the 'foreignness' of foreign chickens leads to an intuitive preference for what is familiar. The unfamiliarity of new chickens makes the decision more difficult to process. Individual vs. Bulk Decisions-- The decision to purchase a chicken is often dictated by the environment you purchase it. If you seek to purchase at a market, you will be encouraged to purchase a minimal amount, given the sense of scarcity. Risk Inflation -- We constantly make calculations about risk. Often, we do so inaccurately, focusing on the most dramatic or salient risks. For many farmers, the possibility of disease wiping out their flock, or some other catastrophic risk, dominated their thinking around breed choice. We worked closely with the partners to map individual barriers to potential interventions that could be deployed at scale. Taking responsibility for implementing our initial diagnostic, Busara went to market. In rural markets across Ethiopia, we worked with the poultry agents to sell and take preorders for chickens. We prototyped, and then piloted, different branding and logistical models. In so doing, we were refining an intervention that could (in the right markets) meet with commercial and social impact success. As suspicion of a new model wears off, sales are steadily increasing. 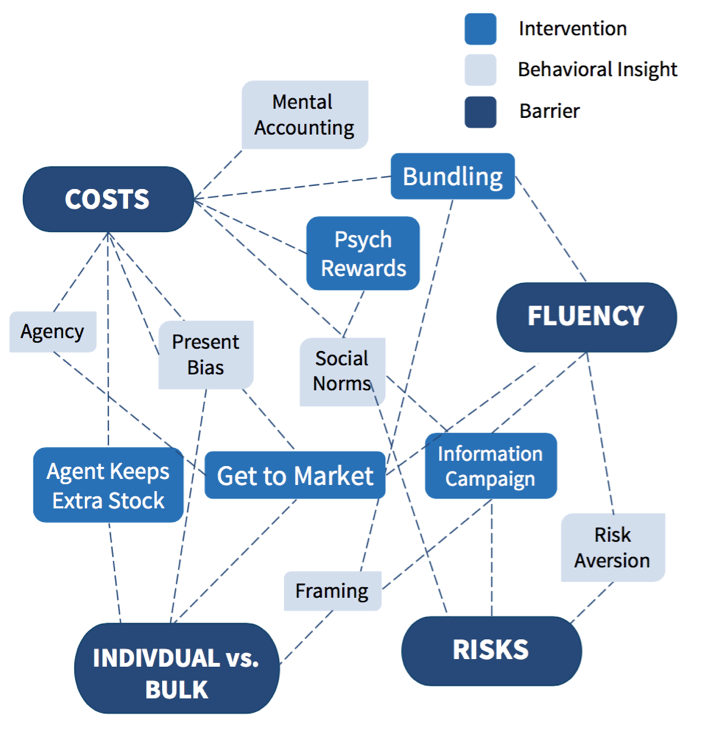 New distribution models are addressing the behavioral barriers that obstruct uptake. 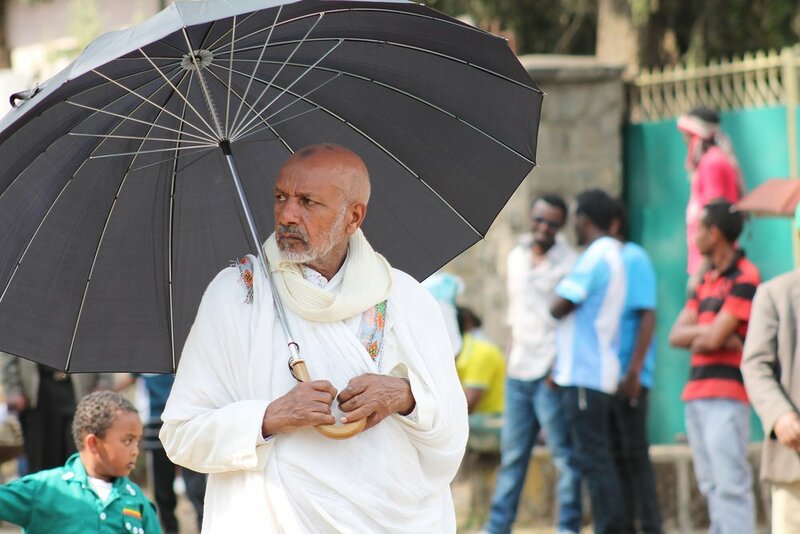 With more convenient delivery and sales fronted by respected influencers, more Ethiopians are receiving the new breeds of chicken - breeds that we hope will deliver more wealth and perhaps even better nutrition to thousands. Meanwhile, the distribution system is providing smoother additional income to many hundreds of village poultry development ambassadors.